If you’re going to make your way through the jungle that is selling on Amazon, you’re probably going to want to bring a machete. In other words, as you may have already discovered, product research can be labor-intensive if you go about it manually. You will want and need a tool to help you automate the process. Fortunately, as you may already know, there are a host of software providers out there to help you do just that. Of these, you may have heard of one in particular: JungleScout. And you may be thinking about whether to sign up for JungleScout or considering one of the alternatives. Luckily, there are many GREAT ALTERNATIVES for Jungle Scout extension and web app. So in this article, we wanted to provide you a brief review of Jungle Scout and compare it to some of your other options. Jungle Scout’s core product offering is divided into two main verticals: the Jungle Scout Web App and the Jungle Scout Chrome Extension. 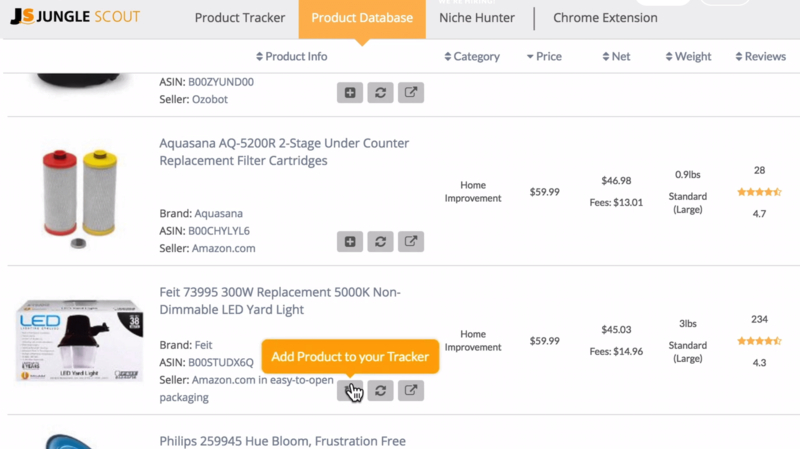 First is Jungle Scout’s Product Database feature, which allows you to search for potential products to sell on Amazon that meet certain parameters. These parameters include the product’s niche, a product’s price, the average rating for a product, and even the number of sellers of a particular item. A second and complementary feature of Jungle Scout’s Web App is the Product Tracker. The Product Tracker allows you to monitor the performance of an individual product or family of products over time. A third and final feature of Jungle Scout’s Web App is the Niche Hunter feature. Here what you’ll find is a “self-generated” list of product niches that Jungle Scout has found on your behalf. In other words, Jungle Scout in this section has cued up potential product ideas for you to consider based on what it believes are compelling product niches. In addition to the Jungle Scout web app, there is also a Chrome extension. The key difference between the web app and the Chrome extension is that that the Chrome extension provides product analytics based on specific searches made on Amazon.com. That is, the Chrome extension will provide you information on the sales potential of a particular product once you feed it a particular search term to consider. In this way, the primary point of departure between the Chrome extension and the web app is how fully-formed your product idea needs to be. As mentioned above, some of the features on Jungle Scout’s web app either provide you specific product ideas or help you generate ideas based a loose set of parameters. The Chrome extension, by contrast, requires you to have a particular idea in mind before you use it. Once you have searched for a particular term on Amazon.com with the help of the Chrome extension, the extension will return data on the product niche. To help you sift through this data, the extension rolls up all of this information into a single Opportunity Score. This Opportunity Score is Jungle Scout’s overall assessment of the suitability of launching a product in this niche. Unfortunately, this Opportunity Score suffers from two problems: it is very simplistic and, related, it does not return reliable. Given that, sellers should be careful about basing their product launch decisions on it. How does Jungle Scout sales estimator work? The most important component of any product research software is the estimates of a product’s sales potential. That is, while it is helpful to obtain information about the quality of a product listing or the number of reviews it possesses, the critical piece of information is how well that product is selling. With that in mind, it is worth briefing reviewing how Jungle Scout’s sales estimator works. It should be noted, however, that there are clear limitations to an estimation algorithm. Since Amazon does not reveal precise sales data for the products listed on its website, estimation algorithms are trying to impute this information from other sources, such as a product’s best seller ranking. So don’t let estimated numbers fool you: what you are getting when you see information from Jungle Scout about the number of sales per day is an estimate ONLY. As such, make sure that you take it with a grain of salt and DO NOT rely on it alone to inform your thinking about a product’s sales potential. And if a sales estimator is going to calculate incorrect information, you would at least like to be conservative—to underestimate rather than overestimate monthly sales. In fact, based on our analysis, the Jungle Scout sales estimator does just the opposite. Its estimated sales for an item are, on average, materially higher than the actual sales for an item. So think twice about committing to Jungle Scout and look around for alternative and better sales estimators. When you come down to it, this aspect of Jungle Scout is just one of several limitations of the software package. (1) Easily-sortable database of products. The product database vertical on Jungle Scout’s web app allows you to search for and sort products by nearly any criteria that may be relevant to you. (2) Niche hunter brings product ideas to you. If you’re unable or unwilling to conduct product research yourself, even with the help of product research software tools, the niche hunter feature can remove much of the guesswork and legwork from the equation. (1) Expensive upfront commitment. The premium version of the Jungle Scout web app can run as high as $99 per month, while the Chrome extension is a one-time payment of nearly $200. In addition, there is very limited opportunity to try a Jungle Scout free trial before paying for it. (2) Coverage is not universal. In addition, the Jungle Scout Chrome extension cannot analyze data on every Amazon.com page, leaving you with “blind spots” in your product research. As outlined below, this is not the case with other product research tools available to you. (3) Inflated revenue statistics. The AccuSales algorithm used by the Jungle Scout software products also tends to overestimate the sales and revenue for items--often by as much as 8-10%. For new sellers, this can be the difference between being successful on Amazon and not making it. (4) Lack of key features. Finally, in some ways, the Jungle Scout software platform is lacking critical features. For instance, it’s not easy to compute the potential profit margin on an item, leaving you guessing as to whether a product you launch on Amazon is actually going to make you money. Lower pricer point. The AMZScout Chrome extension starts at $44.95 per month, which can be, depending on the plan you choose, a steep discount as compared to Jungle Scout. More features that matter to sellers. The AMZScout software also includes more features that help you conduct product research. These include competitors’ inventory levels, net profit margins, and the ability to seamlessly link up with suppliers in particular product niches. More objective sales data. 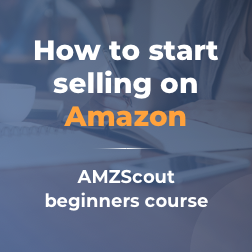 Different than the Jungle Scout software, the AMZScout Chrome extension provides more accurate sales data for Amazon products. This prevents you from being misled into believing that a product is selling better than it actually is, saving you time and money in the long run. Longer and better trial period. The AMZScout software also offers you a meaningful trial version, allowing you to test drive the product before you commit to buying. Universal coverage. As noted above, there are product niches where the Jungle Scout Chrome extension just does not work. The AMZScout extension, by contrast, has universal coverage--it works across ANY AND EVERY PAGE you can find on Amazon.com. Best customer support. In contrast to Jungle Scout, the AMZScout team also offers fast, helpful, and accurate customer service to its customers. Mobile scanning. Ever curious about whether an item you see at the store is a good candidate to sell on Amazon? With ASINspector’s mobile scanning feature, you can scan any barcode at any store and see how it’s performing on e-commerce sites. Third party pricing data. ASINspector also scrapes pricing information from other e-commerce platforms such as Walmart and eBay to give you a clearer view of whether the price you see on Amazon is close to the “true” price of an item. Product launch functionality. 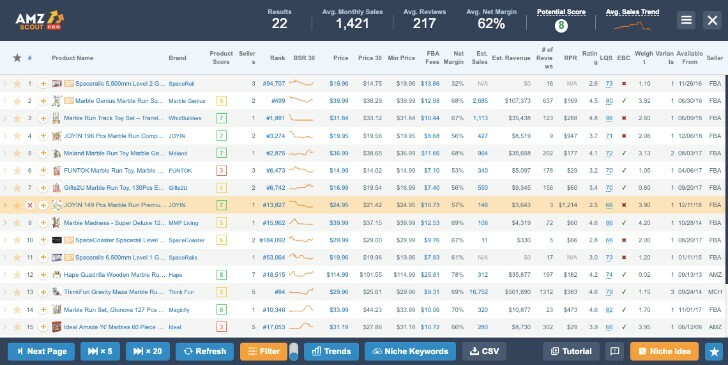 While most seller tools are focused on helping you discover great products to sell on Amazon, Viral Launch also offers a suite of features to help you achieve initial sales traction on platform. Assistance with split testing listings. Beyond that, Viral Launch can also conduct split tests on your product listings to ensure that your price point and listing content are optimized to maximize conversions. Initial product launch capability. Like Viral Launch, AMZ Tracker offers sellers help with not only product research but also product launches. 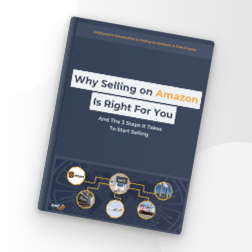 Specifically, the platform allows sellers to run product giveaways through a partner website, set up landing pages for their product launches, and even create bespoke URLs for their Amazon listings. Negative review tracker. AMZ Tracker also offers a slick feature that notifies you when any negative review pops up on your listing, such that you can address any customer criticism or concern immediately. Freemium model. 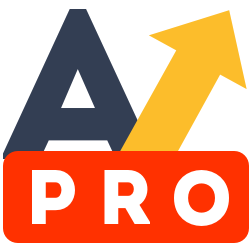 While some advanced features of the software cost something, the basic version of Amazeowl is completely free. That allows folks new to selling on Amazon to get started right away without having to shell out any money upfront. Competitor tracking. The Amazeowl platform also enables you to save information about your competitors and their product offerings, enabling you to keep watch on your product niche to ensure that it remains viable over time. In conclusion, you’re going to want and need a product research tool to find the right products to sell on Amazon. However, resist the temptation to navigate over to Jungle Scout and shell out money for a subscription with them. Nowadays, there are software tools that won’t cost you as much money and will add much more value to your Amazon business. Have any questions or comments for us? We’d love to hear them. Leave your feedback for us below or drop us a line at amazondevcrew@gmail.com. Thanks as always for reading and happy selling!